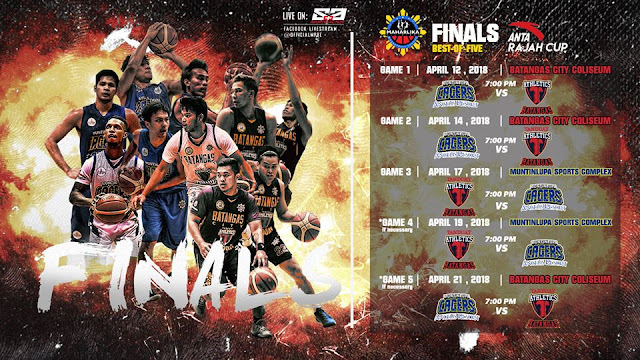 Livestream: Watch the game 2 of the MPBL Anta Rajah Cup Finals between the Batangas City Tanduay Athletics and Muntinlupa Cagers. In the Game 1 Batangas won the 70-64 against the Muntinlup and now they're leading the best of 5 series 1-0. All games will start at 8PM.